/ SHHHHH…..Are You Being Quiet Enough To Hear God’s Whispers? Speaking in a normal tone, will most of the time capture your audience? While whispering, on the other hand, is an attempt to be quiet, to use hushed tones, to be soft-spoken, to be quiet, and to be private. Today, I want to talk about something that is a very sensitive subject. I want to talk about whispering. I am hearing all kinds of whispers, whispers describing people’s pain, hurt and humiliation and annihilation within the church. I am hearing whispers in my head that we are all guilty and fall short of the glory of God. We are all guilty of assumptions, that was silently weaved into discord and emotional pain that has been wrapped around us, to stall us, to make us falter, in our quest for revival. That is what I want to talk about today, whispering among brothers and sisters that lead to division in the church family. Now do not shake your heads at me, the division is real, and it is present. I, know, I have lived through it, in one of the hardest trials of my life. It started with a whisper, in private, using a hushed tone; direct looks sent my way and finger-pointing. This untruth, was made on an assumption, and almost lead to my destruction, it was an attack from the enemy, to undermine me, to silence me, to make me drift away, to isolate me, to leave me defenseless, alone, weary, beaten down, and destroyed. It made me feel unworthy, unloved, content able, angry, frustrated, revengeful, the attack began in my mind, after a whisper, that was overheard, and when I rode on that whisper, instead of laying it down at Jesus’ feet, the war began. I thought this was just my war, and after God brought me through this war, he showed me how to love all the ones who had hurt me. That is the glory of God to take your sorrow and pain and turn it into unconditional love. I was able to put my feet on solid foundation once more. Our voice and better yet our tongues have the ability of life and death. In recent months I have witnessed an onslaught of a slow creeping almost unseen attack against the church. There is a lot of whispering going on, that has hurt people, caused them emotional and mental damage, intense heartache, look around you, where are the familiar faces of your church family and friends. Where are they, did they move, did they leave for another church, are they sick, are they destitute. Did you bother to look for them, did you call them, did you write them, did you go to their home? Did you just assume they were backslidden? Maybe you had better keep your distance, do not want to be a partaker of that. Have we really become so blind, as to assume, a person’s situation, that we would leave them in the desert, alone, scared, beaten and battle fatigued, finally isolated for the enemy to devour. WHERE IS YOUR LOVE??? Jesus is also looking around, where is thy brother? Where is thy sister? When you cannot answer, Jesus will go searching for them, he will leave the flock to go to them? I tell you, Jesus is in the desert, with the brother or sister, who is under attack, he loves them, he will not leave them, yet, he will personally minister to them, and he will raise them up. Did he not raise the bones? Churches are crying for revival, how we can have a revival when we will not even go into the desert to retrieve and bring home our wounded brothers and sisters. Ephesians 6: 10-20; 10 finally, be strong in the Lord and in his mighty power. 11 Put on the full armor of God, so that you can take your stand against the devil’s schemes. 12 For our struggle is not against flesh and blood, but against the rulers, against the authorities, against the powers of this dark world and against the spiritual forces of evil in the heavenly realms. 13 Therefore put on the full armor of God, so that when the day of evil comes, you may be able to stand your ground, and after you have done everything, to stand. 14 Stand firm then, with the belt of truth buckled around your waist, with the breastplate of righteousness in place, 15 and with your feet fitted with the readiness that comes from the gospel of peace. 16 In addition to all this, take up the shield of faith, with which you can extinguish all the flaming arrows of the evil one. 17 Take the helmet of salvation and the sword of the Spirit, which is the word of God. 18 And pray in the Spirit on all occasions with all kinds of prayers and requests. With this in mind, be alert and always keep on praying for all the Lord’s people. 19 Pray also for me, that whenever I speak, words may be given me so that I will fearlessly make known the mystery of the gospel, 20 for which I am an ambassador in chains. Pray that I may declare it fearlessly, as I should. In Jesus Name! Look around you, who is MIA (Missing in Action) do not assume, do not listen to rumors, or to gossip, or to the “Whispers” , reach down into that pit, that is in the desert , created by warfare, with the right hand of God and pull thy brother and sister, up out of the pit into the flock, for they are God’s child and he loves them as we should love them, hurry, go search for them, write them, email them, call them, take them to lunch, get to know them, be their friend, be their brother or sister in Christ. Shower them with love. Is not love the greatest command of all?? How can you love God, if you do not love your brother or sister? Matthew 18:20- For where two or three are gathered together in my name, there am I in the midst of them. 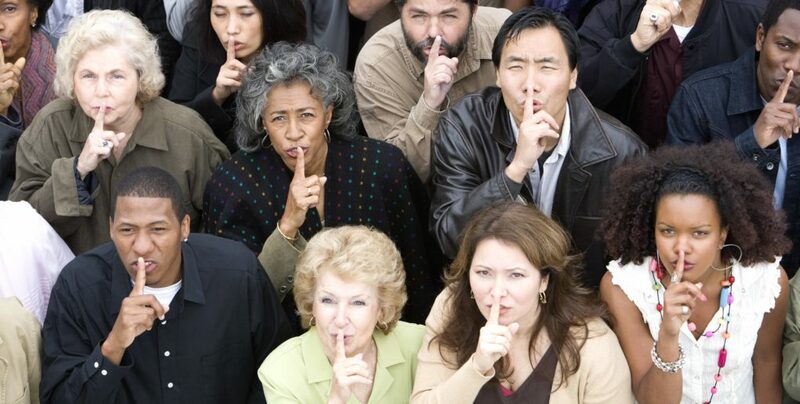 SHHHHHHHHHH………Are you being quiet enough to hear what God is whispering?? yes, establish the work of our hands. Amen.